A modern and contemporary design of a hand tied bouquet using a mix of select and traditional flowers with foliage to give a display any fashionista will be impressed to receive! 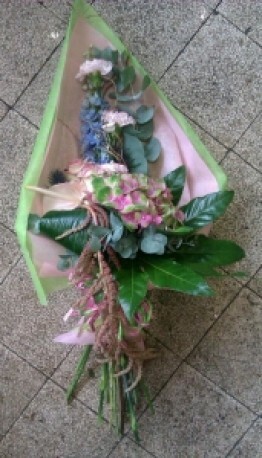 This bouquet is a hand tied design and is not delivered in water. The image is for colour/design choice only and the exact flowers used will vary to provide you with the best gift on the day. The image shown would be a design from the Deluxe price point.